The most popular farming game on mobiles and tablets, number one in 122 countries. Learn the lay of the land, tend to your crops, and trade goods with neighbors and friends. It’s a real special place where the crops never die even though it never rains. Sharing the farm with our quirky animals only makes things more fun! Play Hay Day, the most popular farming game on mobiles and tablets, number one in 122 countries. 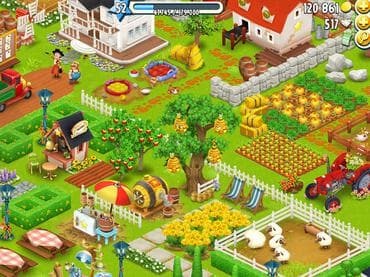 Grow and customize your farm, trade crops and fresh goods with neighbors and friends through your very own roadside shop and much more. Если у Вас есть вопросы, связанные с игрой Hay Day пожалуйста используйте эту форму для связи с нами.